When Charity Adams and other African American women enlisted in the Women's Army Auxiliary Corps (WAAC) in World War II, they were among the bravest and most adventurous women in 1940s America. They interrupted careers and left family, friends and loved ones to venture into unknown and dangerous territory. 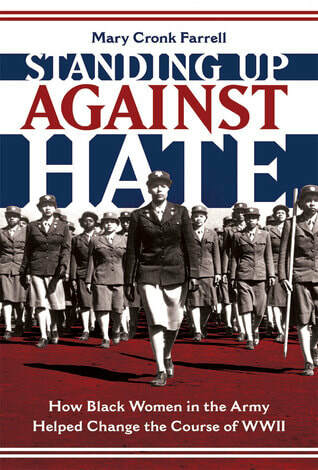 Standing Up Against Hate tells the stories of the African American women who enlisted in the newly formed Women’s Army Auxiliary Corps (WAAC) in World War II. They quickly discovered that they faced as many obstacles in the armed forces as they did in everyday life. However, they refused to back down. They interrupted careers and left family, friends, and loved ones to venture into unknown and sometimes dangerous territory. They survived racial prejudice and discrimination with dignity, succeeded in jobs women had never worked before, and made crucial contributions to the military war effort. ​Available at links below or your favorite bookstore.